When you or a loved one close to you pictures living in a senior community, you may not immediately picture elegant, lush surroundings and top of the line amenities, but we at Balfour would like to change that. 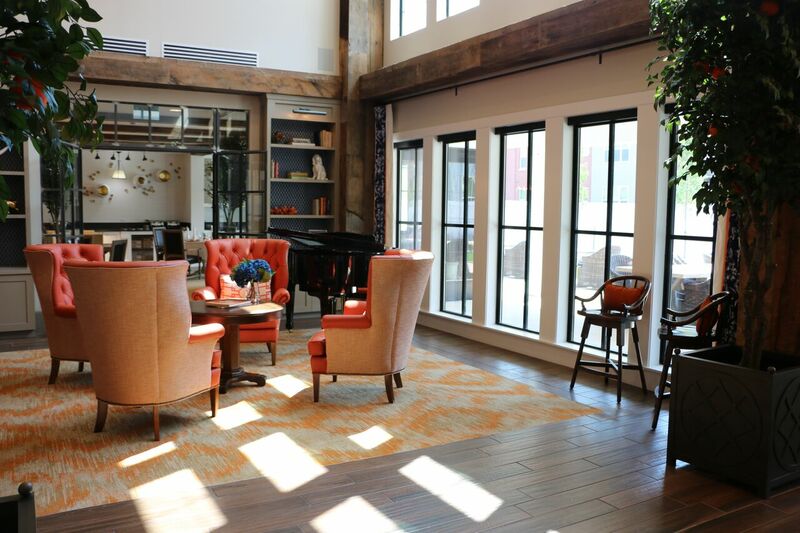 Our new assisted living location in Colorado, the Balfour at Stapleton senior living community, is a result of years of developing and operating senior housing communities in Colorado, and we are proud to bring the Denver area an exciting new choice for quality senior living. The dynamic, vibrant Denver neighborhood of Stapleton is the perfect setting for the Balfour retirement community, with its premier assisted living and memory care accommodations offering residents a comfortable, well-designed community featuring Balfour’s signature amenities and services that promote maximum independence. Our assisted living program was crafted to meet the needs of any resident who may need help with activities of daily living, but who remain largely independent. We appreciate our residents and are honored that they choose to be a part of a Balfour community. We respect each resident’s individuality, and celebrate it at our new assisted living location in Colorado as well as any of our other fine locations! We offer a medically skilled program for those who need medical care, with services tailored to each individual’s needs. We perform a clinical assessment prior to move in, to assure we are able to provide your loved one with everything they need to feel at home, and well taken care of. Because we do respect our residents and understand the challenges that aging sometimes causes us to face, we also offer Alzheimer’s and memory care in our Stapleton, Colorado location that treats every resident with the dignity and deference they deserve. We keep things positive by focusing on each individual’s strengths and abilities, and you can be assured that our staff and care partners share our values, and are trained in caring interaction that validates and encourages each resident as much as possible. If you have questions about our new assisted living location in Colorado, Balfour at Stapleton, or questions about any aspect of the Balfour experience, our experienced Resident Advisors are familiar with every aspect of Balfour’s continuum of care and stand ready to answer your questions about how you or a loved one might benefit from Balfour’s exclusive services. We invite you to reach out to us today, and find out more about all that Balfour communities have to offer. To speak to somebody immediately, call us at 844-354-8877. We look forward to speaking with you soon.